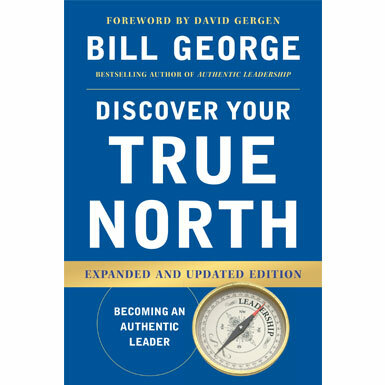 Bill George’s new book, Discover Your True North, unmasks authentic leadership. When I received an advance copy of Bill George’s latest book, Discover Your True North, I was interested to read it, since I know Bill George from attending many of the same business and social events over the years. Most recently, George and I were co-keynote speakers on the topic of best practices in corporate governance and ethics. But, to be perfectly candid, the idea of writing a book review about “another” business book written by a former CEO didn’t exactly flip my pancakes. That was, however, until I opened to the preface, which starts: “Warren Bennis was one of the great pioneers in the field of leadership.” I had the great fortune to have studied under Professor Bennis when I attended the Graduate School of Business at the University of Minnesota (now the Carlson School of Business). Due to Bennis’ profound wisdom, kindness and generosity of spirit, I became one of his ardent disciples, and I am grateful to have known and learned from him. George writes about his admiration for Bennis as well, and about how he influenced George’s decision to become a writer and teacher. And how great it is that we all can learn from George’s writing. His latest book follows up on many of the 125 CEOs he interviewed for past books and contains 47 new interviews. Using stories from these leaders to illustrate major leadership principles, George demonstrates that there are many ways to lead, but the best way is by honoring your own “true north.” He defines this as leading others by mastering and sharing our special, authentic and unique qualities. I respect George’s advice because he has not been sitting on the leadership bench studying business, but served as the CEO of Medtronic from 1991 to 2001 (a period during which the company’s market capitalization grew at an average annual rate of 35 percent). And his book includes stories from many local business leaders of their leadership challenges and lessons. As he explained in a recent Star Tribune column, the business leaders of the Twin Cities are ethical, mission-driven, values-centered, committed to building both their companies and our community, and are consistently ranked as the finest group in the country. In short, Discover Your True North is a book written by an accomplished leader about how accomplished leaders got there and how you can become one. George’s story is one that I relate to on a very personal level, as I also experienced a crucible before finding my true north. By the time I was in my early 40s, I was a president at First Bank (now US Bank) with responsibility for enterprise-wide consumer, business and electronic banking and financial services, with 7,800 employees in 156 regional locations. 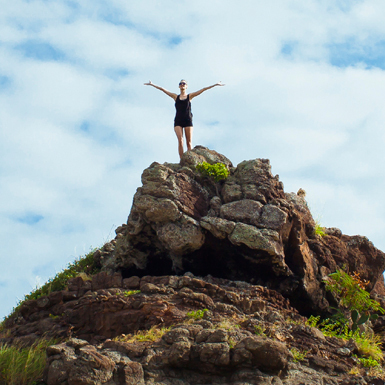 The board and executives above me recognized and rewarded my leadership potential, and most people from the outside thought I was on top of the world. I climbed the corporate ladder and was enjoying exceptional compensation and perks such as corporate suites at professional sporting events and flying around in our private jets. But inside, I was miserable. Despite my success, I wasn’t fulfilled. Just as George explains his crucible, I lost my way while trying to fit in instead of standing out by being myself. I felt like I was going to a masquerade ball every day. After some significant soul-searching, I realized that my true north wasn’t in corporate life. Rather, my authentic calling was to serve underdog organizations in distress and to serve at-risk kids who live in poverty or are physically or cognitively disabled. George explains a three-step process. The first is to review your past, and I’ve been doing that lately too. It’s only recently that I have learned to appreciate, instead of resent, how growing up in poverty shaped me into who I am today. It’s probably why I decided on a career to fight off business bullies and help distressed underdogs, and why I work to inspire at-risk kids to have a vision for a better life and a commitment to reach it through education. Step two describes the core building blocks for becoming an authentic leader (being self-aware, sticking to one’s values, staying with a career sweet spot, utilizing a support team and living a balanced life). Once again, these are lessons I’ve learned myself, and that also remind me of Professor Bennis, who wrote, “More leaders have been made by accident, circumstance, sheer grit or will than have been made by all the leadership courses put together” (On Becoming a Leader, revised edition). Finally, George teaches how to lead from a position of “we” instead of “me.” I’ve learned that as I progressed along the leadership path, I had to develop new skills, including how to motivate others to get work done to accomplish goals and objectives, and that I would be measured and rewarded on that ability versus what I accomplished on my own. So if you are feeling like you are a masqueraded leader because you’re trying to find your true north, read this book. George aims at the leadership issues that plague our country today and has hit that target with a remarkable accuracy. Mark W. Sheffert (mark@manchestercompanies.com) is founder, chairman and CEO of Manchester Companies, Inc., a Minneapolis-based board and management advisory firm specializing in business recovery, transformation, performance improvement, board governance, and litigation support. This article was originally published 10/30/15 on Twin Cities Business. Who can you turn to when life gets tough? Who do you have… when you’re alone? Over the past 20 years, Americans have faced a crisis of community. As Robert Putnam documented in his famous book “Bowling Alone: America’s Declining Social Capital”, we’re spending less and less time with each other. As technology connects us, it changes the types of relationships we have. We have more “friends” than ever, but we lack the deep bonding we yearn for. If you look at the psychological research, however, the pay-off is clear. Developing a strong support network makes you happier, more productive, and better prepared to face the world. Emotionally, having a strong support network changes how you feel. As the Mayo Clinic recently reported, deep personal connections help decrease stress, anxiety, and the risk of depression. Having close relationships changes your fundamental biology. In 2006, the Journal of Behavioral medicine reported that social support is linked to a lower rate of mortality and an improvement in the immune system. Having a consistent group also helps you reflect on yourself. In preparing for the unexpected in life, leadership expert Warren Bennis says, “Have some group that will tell you the truth and to whom you can tell the truth… All you can do is make sure there’s some way of understanding reality beyond what you know yourself.” A strong support group allows you see yourself more clearly. The members provide feedback, perspective, and (at times) the difficult truth you need to hear. Finally, your support group helps you develop a feeling of belonging. As Brene Brown at the University of Houston put it, “A deep sense of love and belonging is an irreducible need of all people. We are biologically, cognitively, physically, and spiritually wired to love, to be loved, and to belong. When those needs are not met, we don’t function as we were meant to.” Developing a consistent group of peers you can be vulnerable with is essential in this process. We do not succeed on their own. Our collective loneliness has been well documented, but the remedies have not. Authentic leaders build close relationships with people who will counsel them in times of uncertainty, be there in times of difficulty, and celebrate with them in times of success. How strong is your support group? Who do you have… when you’re alone? This post is excerpted with permission of the publisher, Wiley, from “Discover Your True North, Expanded and Updated Edition” (August 2015) by Bill George. Copyright (c) 2015 by Bill George. This book is available at all bookstores and online booksellers. Bill George is a senior fellow at Harvard Business School and former chairman and CEO of Medtronic. When I graduated from college, I had the naive notion that the journey to leadership was a straight line to the top. I learned the hard way that leadership is not a singular destination but a marathon journey that progresses through many stages until you reach your peak. I was not alone. 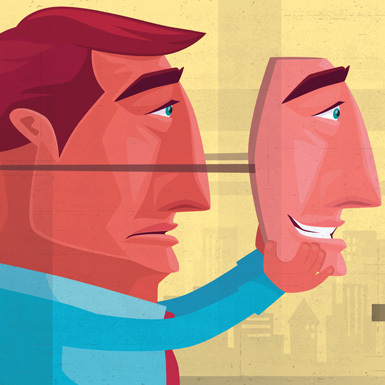 Of all the senior leaders we interviewed, none wound up where they thought they would. Former Vanguard CEO Jack Brennan believes that the worst thing people can do is to manage their careers with a career map: “The dissatisfied people I have known and those who experienced ethical or legal failures all had a clear career plan.” Brennan recommended being flexible and venturesome in stepping up to unexpected opportunities. “If you’re only interested in advancing your career, you’ll wind up dissatisfied,” he said. The idea of a career ladder places tremendous pressure on leaders to keep climbing ever higher. Instead, Sheryl Sandberg, chief operating officer (COO) of Facebook, favors the idea of a career “jungle gym” where you can move up, down, or across. Realistically, your development as a leader is a journey filled with many ups and downs as you progress to your peak leadership and continue leading through the final stage. The leader’s journey follows the new span of life, which often runs into the nineties. Individuals move through three periods of leadership with different types of leadership opportunities unfolding in each. There will be differences in the pace at which leaders navigate the timeline, but there are many commonalities among their experiences. Phase I is preparing for leadership, when character forms and people act as individual contributors or lead teams for the first time. Today, very few leaders make career commitments in their twenties. Increasingly, they use the time following college to gain valuable work experience, oftentimes changing jobs every 18 to 24 months to diversify their experience. Many young leaders are interested in going to graduate school in business, law, or government. Even some whocomplete their master’s degrees prefer individual contributor roles in consulting or finance before committing to a specific company or industry. We begin life on a linear path where success is based on clear targets. Life gets complicated when the targets aren’t clear, and you have to set your own. By rubbing up against the world, you get to know yourself. Either do that, or you’re going to spend your life serving the interests and expectations of others. Let me just plant this seed. Keep it alive and come back to it in 10 years, but don’t flush it. Ask yourself the question “What do you want out of your life?” I want to empower you for that time when it’s relevant to you. As a student at Princeton, Wendy Kopp developed a passion to transform K–12 education. Growing up in a middle-class family in an affluent Dallas suburb, she lived in a community that was “extraordinarily isolated from reality and the disparities in educational opportunity.” Kopp was influenced by her freshman roommate at Princeton, who was from inner-city New York. Kopp described her roommate as brilliant but unable to keep up with her studies because her high school had not prepared her for the rigors of Princeton. Ultimately, her roommate dropped out of school. As a senior, Kopp burned with desire to transform education but didn’t know how to get there. Not wanting to pursue the typical corporate-training track, she went into “a deep funk.” As she explored teaching, she realized many others also believed that depriving kids of an excellent education was a national tragedy. So she organized a conference of students and business leaders to examine ways to improve K–12 education. During the conference, an idea came to her: “Why doesn’t this country have a national teacher corps of recent college graduates who commit two years to teach in public schools?” Her rhetorical question inspired her to found Teach For America (TFA), the most successful secondary educational program of the past 25 years. Kopp’s journey wasn’t easy. Lacking management experience and permanent funding, Teach For America was constantly short of cash, lurching from one crisis to the next. Time and again, Kopp threw herself into fundraising as she restructured budgets and financing to cover deficits. After working 100 hours a week for five years to build TFA to 500 new teachers per year, Kopp felt overwhelmed by the financial pressures of raising money to keep the organization going. When many initial funders decided not to continue funding the organization, losses mounted to a cumulative deficit of $2.5 million. A blistering critique of TFA in an influential educators’ journal said, “TFA is bad policy and bad education. It is bad for the recruits. It is bad for the schools. It is bad for the children.” Reflecting on the article, Kopp recalled, “It felt like a punch in the chest. I read it more as a personal attack than an academic analysis of our efforts.” When some of her original team left TFA, Kopp thought about shutting it down. “Yet my passion for our cause and fear that we might let the children down kept me going,” she said. Kopp’s experience at such a young age is the essence of authentic leadership: Find something you are passionate about, and inspire others to join the cause. TFA’s crisis accelerated her development as a leader. Twenty years after founding TFA, Kopp’s tireless efforts and passionate leadership have paid off. Today the program has 11,000 corps members who are teaching more than 750,000 students. Ian Chan is another young leader who discovered his passion to lead at an early age. As his college graduation approached, he knew he wanted “an opportunity that would get me excited to jump out of bed every day and go to work.” After uninspiring experiences in investment banking and private equity, he and his younger brother focused on the human genome revolution. The Chan brothers founded U.S. Genomics to revolutionize medicine by delivering personalized genomics on a broad scale. They attracted noted advisers, such as scientist Craig Venter, who originally mapped the human genome, and Bob Langer, a renowned technologist. They began with a $100,000 credit card loan, and subsequently raised $52 million from venture capitalists, several of whom joined the board as the Chan brothers gave up more than half their ownership. Over the next five years the company’s work attracted attention in the scientific community and venture capital world as U.S. Genomics became a pioneer in its field. When the founders presented the company’s exceptional performance in December 2001, the board gave them a standing ovation. Yet, as the full potential of U.S. Genomics became apparent to the venture capitalists, they decided they needed a more experienced executive to lead it. Four months later, Chan was shocked when his board told him he was being replaced as CEO. “To this day, I have no idea why this happened when things were going so well,” he said. I put my heart and soul into it for many years, and then boom, it’s all gone. It was gut-wrenching to have something taken away that I created and believed in deeply. I still had some shares, but I wasn’t part of the enterprise anymore with its mission I believe in. I wanted to continue fighting, but I felt helpless. In hindsight, it was a rich experience I can build on for the next journey. I had been working crazy hours and was very tired. I didn’t have a personal life and needed more balance. To regroup, I spent two years getting my MBA. That provided time for self-reflection and opportunities to interact with some of the world’s top business leaders. I realized I was still fortunate to have my health, family, and the privilege of living in a free country. These should never be taken for granted. My heart is still in entrepreneurship and biotechnology because there are so many untreatable diseases that provide opportunities to make broad impact. Unfortunately, fear of failure keeps many young leaders from jumping into opportunities like Kopp and Chan did. Don’t worry about the challenges. Embrace them. Go through them even if they hurt. Tell yourself, there is something to be learned from this experience. You may not fully understand it now, but you will later. It’s all part of life, and life is a process of learning. Every challenging experience develops your core of inner strength, which gets you through those storms. Nothing worth doing in life is going to be easy. This article was originally posted 10/29/15 on SmartBlog. Bill George speaks at Georgia Tech IMPACT Speaker Series on Discover Your True North. Two weeks ago I spent a day at the world’s most innovative company: Google. It felt more like a college campus than a multi-billion dollar company. Yet behind the gyms, mindfulness classes, and gourmet free food, there are 20,000 engineers working furiously. Their goal: breakthrough products that transform the world. To understand what makes Google so innovative, I studied two “insider’s books:” Laszlo Bock’s Work Rules and Chairman Eric Schmidt’s and Jonathan Rosenberg’s How Google Works. Nevertheless, it is still very difficult to figure out how Google actually works. The reason? While many companies proclaim they are egalitarian and work from the “bottom up,” Google actually does. Gmail, for example, began with a “spare time” project that led to the ubiquitous electronic mailing system many of us use. Unlike Steve Jobs’ Apple, where the legendary founder had his hands on every product, Google CEO Larry Page and co-founder Sergei Brin give their technical teams wide latitude to experiment. This is how Google is able to attract such brilliant innovation leaders as Arthur Levinson, former CEO of Genentech, who is leading an initiative to combat aging. Understanding Google became even more difficult this fall when it morphed into Alphabet, the holding company that not only includes Google itself, but all its remarkably creative entities like self-driving cars and Google glass. Beginning as a research project in 1996, Google has rapidly changed the world. Since developing the most successful search algorithm, PageRank, the company has expanded far beyond web search. Since going public in 2004, Google digitized millions of books with Google Books, mapped the world with Google Maps, and generated the first mass-produced, wearable technology – Google Glass. History demonstrates that companies become less innovative as they grow, as size and creativity are inversely proportional. Not so with Google. So what is its secret? In “8 Pillars of Innovation”, YouTube CEO Susan Wojcicki gives eight ways Google stays innovative. These include the mission, idea generation and willingness to fail. One pillar she overlooked, however, was “Develop Innovation Leaders.” These days there are thousands of creative innovators all over the world, but effective innovation leaders like Page and Facebook’s Mark Zuckerberg are very rare. Yet without highly skilled innovation leaders throughout its organization, Google would never have produced so many innovative products and have so many more in its pipeline. Take one of Google’s most innovative practices: its policy of giving 20% free time to engineers to work on independent projects. Initiated in 2004, the policy has begun innovations such as Gmail, Google News, and Ad Sense, but not without controversy. It is difficult for any company to justify time for employees to work on small, side projects when the mainstream development projects are all-consuming. Without support of Google’s top leadership, the policy would never have succeeded. Ironically, Google has a history of underplaying the importance of leadership. In 2001, Page and Brin experimented with a completely flat organization, but the experiment only lasted a few months. Without clear leadership, it was difficult to communicate vision, handle logistics, and foster career development. Shortly thereafter, Schmidt became CEO, a position he held for a decade. Since then, Google has recognized the importance of developing and hiring innovation leaders. In 2009, Google launched Project Oxygen – a three-year project to understand how the best managers at Google work. Implicit in this project was the understanding that great innovation leaders are required to drive great change. In order for Google to innovate as it has, it required the best minds in the world, and superb innovation leaders with the wisdom to know autonomy with respected inputs and challenges is required to inspire and retain high-powered innovators. That’s also why Google became the holding company Alphabet – a loosely knit collection of interdependent units that can attract and empower more innovation leaders. As Bock argues in Work Rules, “Micromanagement is mismanagement.” Its collection of innovation organizations provides the freedom to innovate without near-term financial constraints. The new structure is designed to enable Google to retain such established innovation leaders as Google’s new CEO Sundar Pichai, Calico’s Levinson, Google X’s Astro Teller, Sidewalk Labs’ Dan Doctoroff, and venture capital leader Bill Maris. • They are “We” leaders, not “I” leaders. • They align their teams around an inspiring mission and set of values. • They have high levels of emotional intelligence (EQ) combined with high IQs. • They possess passion, compassion and courage. • They are skilled at drawing out the best talents of innovators. • They inspire, empower, support and protect their innovators and mavericks. • They focus on bold long-term visions and aren’t deflected by short-term pressures. • They are superb collaborators with other teams and other leaders. Google’s model for nurturing innovation leaders may well become the gold standard for other organizations eager to create innovation breakthroughs, without the constant pressure of shareholders for immediate results. At the very least, in itself it is a breakthrough. That brings us to Bill George’s latest book, “Discover Your True North: Expanded and Updated.” In it, George brings his wisdom, observations, examples, and practices to bear on helping leaders be something more than what Pfeffer proposes. He encourages us to build on our natural leadership gifts and to stay on our “True North” track to inspire and empower others to excellence. According to George, our “True North” is the internal compass which, based on deeply held beliefs, values, and principles, “represents who we are at our deepest level.” Knowing our internal compass helps when pressures and seductions detour us from achieving our purpose in life. It is our lifesaver… alerting us to get back on track when the life being lived is not aligned with who we are at the deepest level. George’s “True North” needs some reconciling to Pfeffer’s belief about the reality of leadership. Pfeffer talks about power for the sake of power while George talks about power that flows from character. This disconnect may be attributed to the lack of good role models for those seeking to be leaders. I have observed over the years that leadership training if not reinforced by good role models does not lead to “True North” leadership. It is hard work to develop the type of leader George talks about. It is “The Road Less Traveled” due to the required investment of time by both the student and the role model. For this reason, I recommend “Discovering Your True North” but with the caveat that it is reinforced by a role model. This may be satisfied with George’s concept of a “support team” that he details in the book. I have worked with Bill George and can vouch that he is the real thing. I am sure that he provides the modeling needed to those he touches in the classroom and for those he works with in his consultancy. In brief about this updated edition – George revisits his NYC Times best-seller and now business classic that was released in 2007. He integrates his personal insights gained as CEO of Medtronic and as a professor and Senior Fellow at Harvard Business School with new first-person interviews of 48 “authentic global leaders.” These leaders include many who have garnered the positive attention of the press and have inspired and empowered millions to excellence –Indra Nooyi, Jack Ma, Alan Mulally, John Mackey, Sheryl Sandberg, Michael Bloomberg, and many others. He also includes updates on the original 125 participants featured in his first book and includes a chapter on finding your “GQ,” your global quotient. George also includes case studies of those who were seduced and made bad choices, which led to painful detours in their lives – Rajat Gupta (insider trading), Lance Armstrong (fraud and demonization of those who tried to get the truth known), and Michael Baker (fraud). It is early but we all may have something to learn from what appears to be a scandal of major proportions at Theranos. Did Elizabeth Holmes take time to find her “True North”? Did she take a detour? Will Theranos survive? For her, this book may be too late. Those who read the first book will find this to be just as inspiring. For those who missed the first book, they will find this to be a treasure and regret they missed the 2007 edition. This was originally published on Amazon.